This is just a little personal thing I've put together to show my appreciation for the greatest rock band of all time. 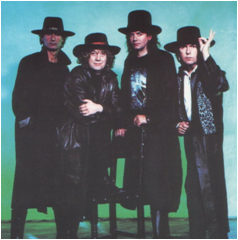 This is not meant to be an in depth history of Slade as this has already been well documented on other sites, books etc. However it has given me the opportunity to share my collection with you all rather than keep it to myself. It's a collection that has continued to grow since 1972, the year I was totally blown away by the noize of Slade. 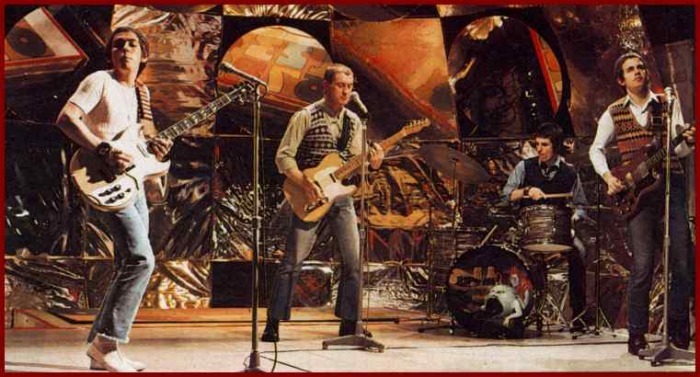 English rock band Slade were one of the most recognizable acts of the glam rock movement. and TWO stalling at the Number 3 spot. If it wasn't for the legendary Rock n' Roller Chuck Berry in 1972, The Simon Park Orchestra in 1973 and an unknown reggae singer called Ken Boothe in 1974 Slade would have hit the top 9 times in a three year period and if the Flying Pickets weren't around in 1983 the boyz would have had a career total of 10 Number 1's. LP sales were pretty fruitful also with SIX Top Twenty Albums in a four year period,3 of them topping the chart. A great gimic by the band was the deliberate misspelling of their song titles, this didn't go down too well with the school teachers but nobody else seemed bothered especially the fans. "Merry Xmas Everybody" (released Dec.1973), is now one of the most iconic Christmas pop songs in the United Kingdom, the song has never been deleted and that is the longest that a single has been on sale in pop history. More info on the band is covered on other pages.